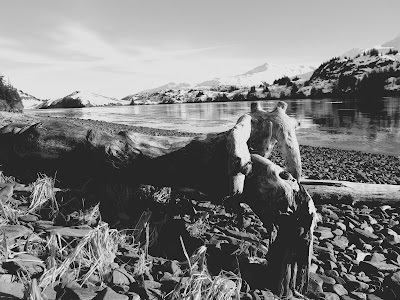 Interesting piece of drift wood found on the shores of Blackstone Bay in Whittier, Alaska in March. THIS IS THE BLACK AND WHITE SUNDAY BLOG HOP!! So cool! I love those mountains in the background too! Thanks, the Mountains were just gorgeous! I love finding interesting pieces of driftwood. The scenery is just perfect for this photo too. I think the black and white makes it just so intriguing. Me too, you never know what might wash up on shore, especially after the Winter. 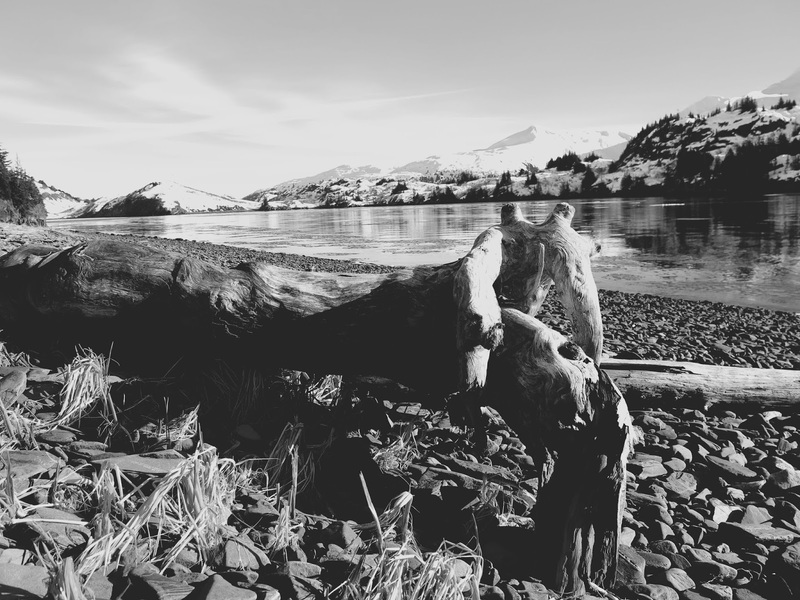 I really loved the driftwood with the pristine Mountains in the background. You can't BUY Love but you can adopt It!